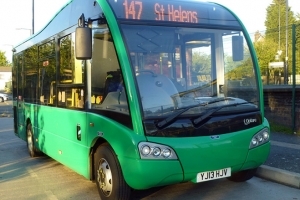 With a fleet of modern, clean and well-maintained buses, Huyton Travel continues its commitment to ensuring passengers make their journeys around Merseyside in as much comfort as possible. 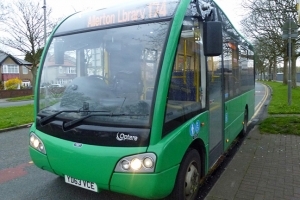 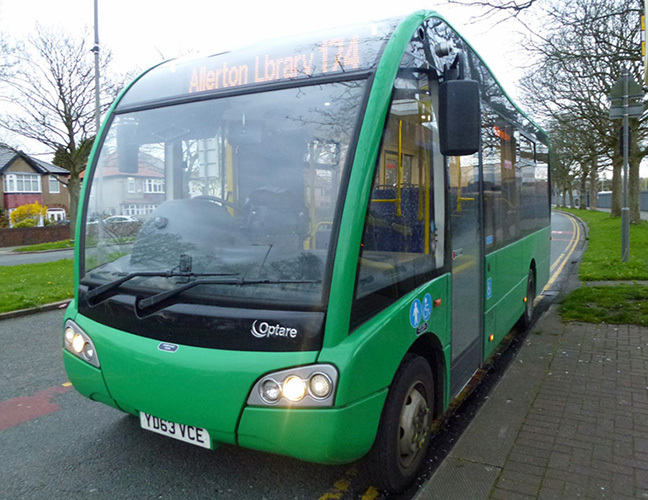 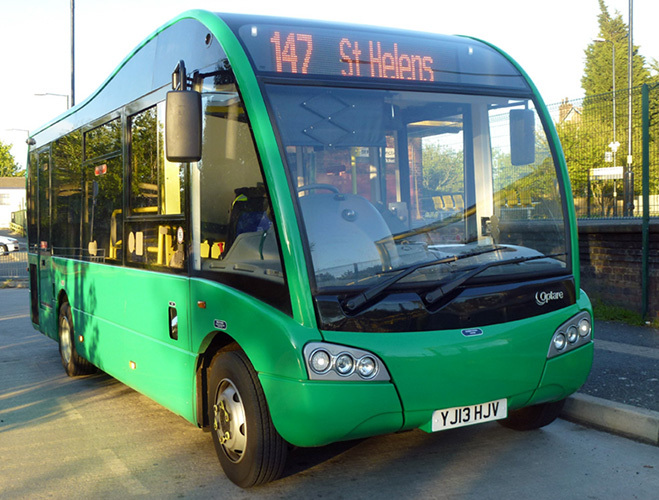 The Alexander Dennis Dart is built in a range of lengths between 8.8 metres and 11.3 metres and all of those in the Huyton Travel fleet are the 8.8 metre long MPD model. 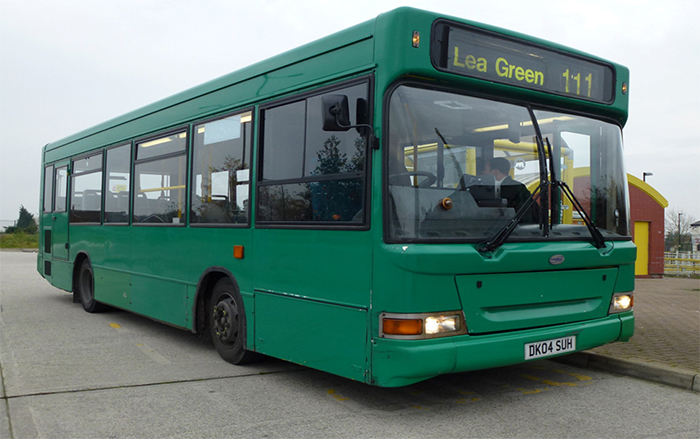 These all have Pointer 2 bodywork, Cummins ISBe Euro3 3.9 litre engines with Allison gearboxes and seat 29 passengers. 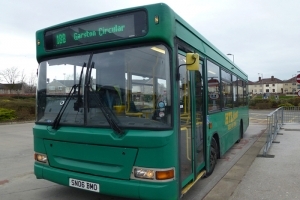 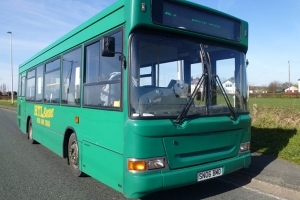 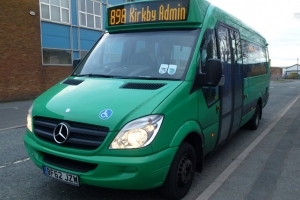 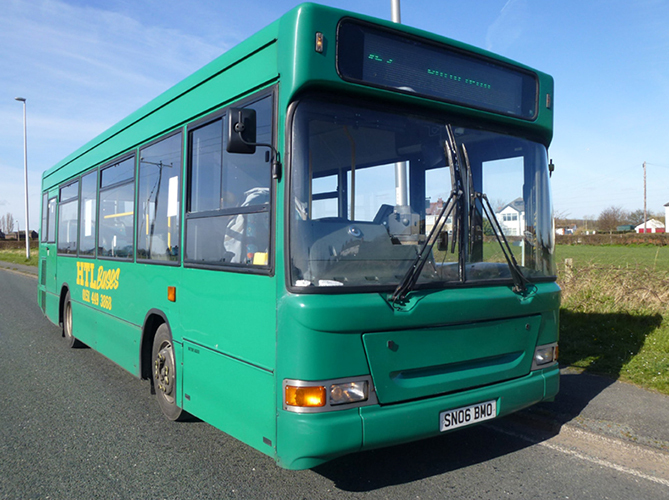 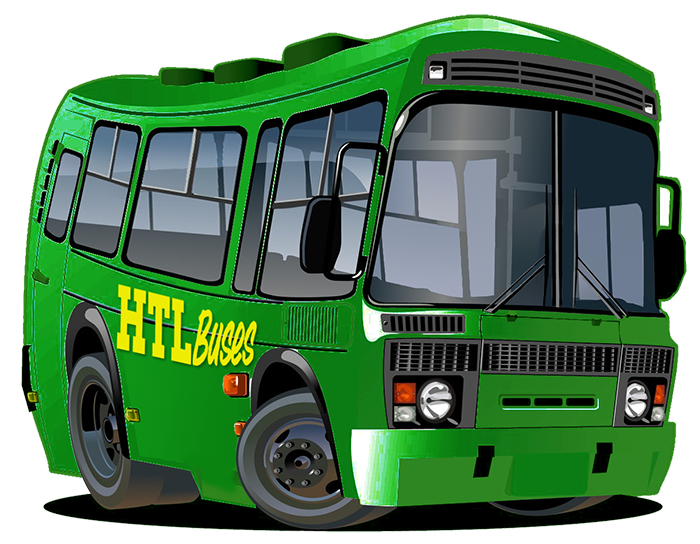 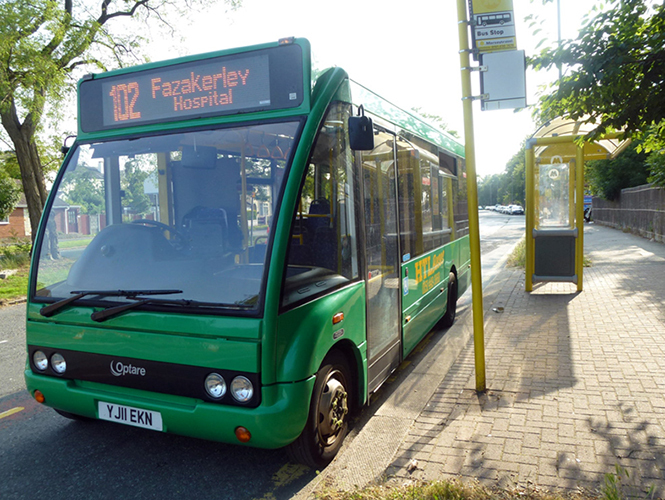 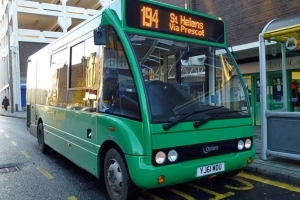 These are generally used on busier routes requiring larger buses though are still very versatile and can operate almost any of the routes operated by Huyton Travel. 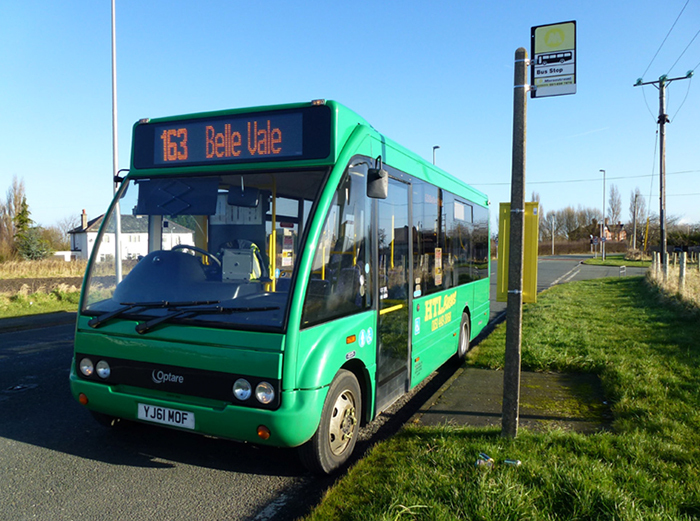 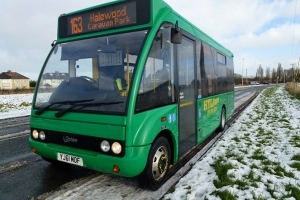 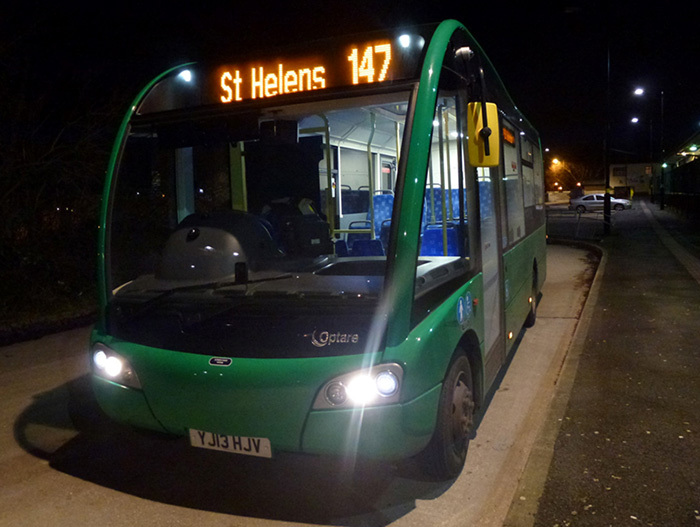 The most common bus in the Huyton Travel fleet is the Optare Solo. 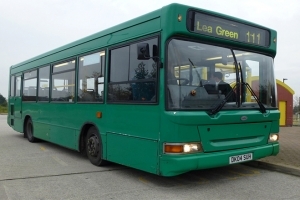 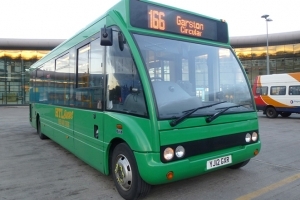 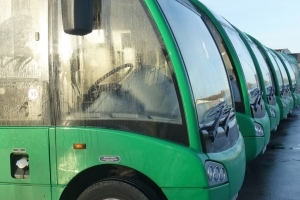 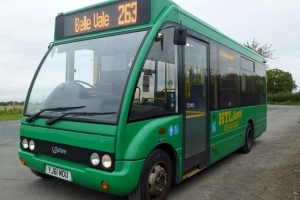 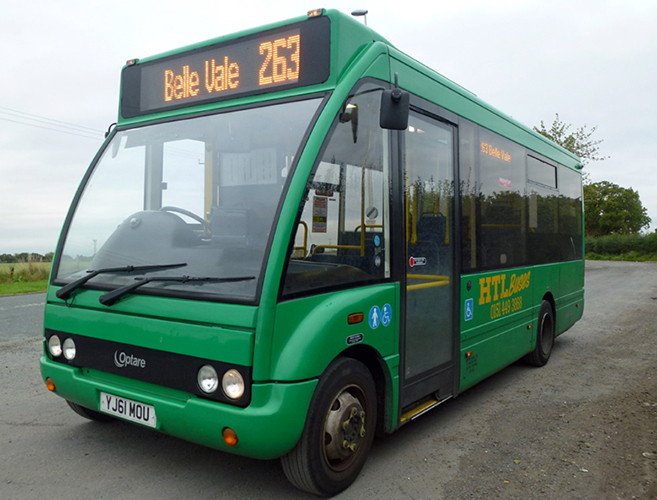 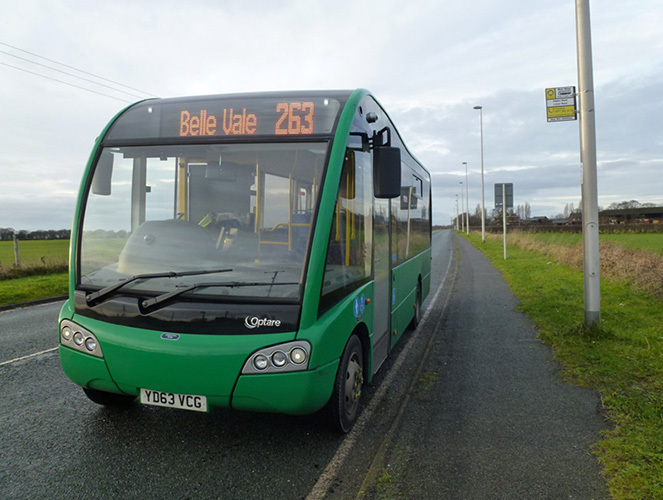 The Optare Solo is available in a variety of sizes between 7.1 metres and 10.2 metres with both a standard width and slim line models are available. 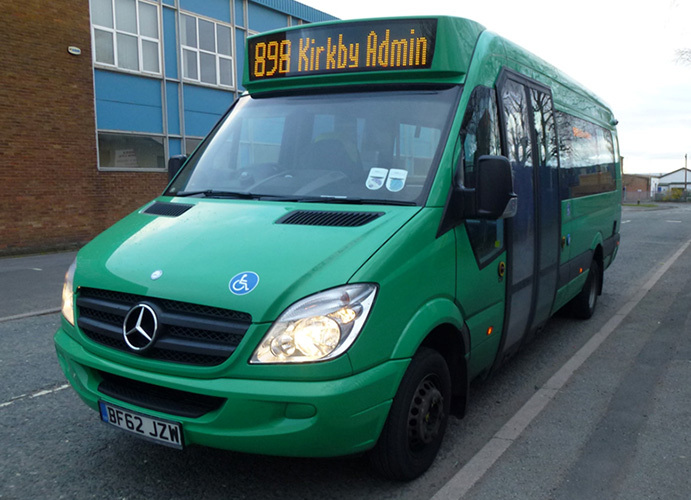 Those in the Huyton Travel fleet all have Mercedes engines and Allison gearboxes providing a robust and reliable vehicle for us to operate our services with. 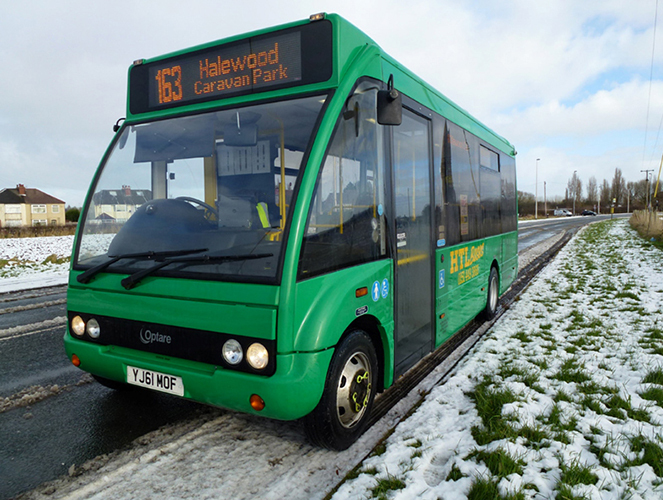 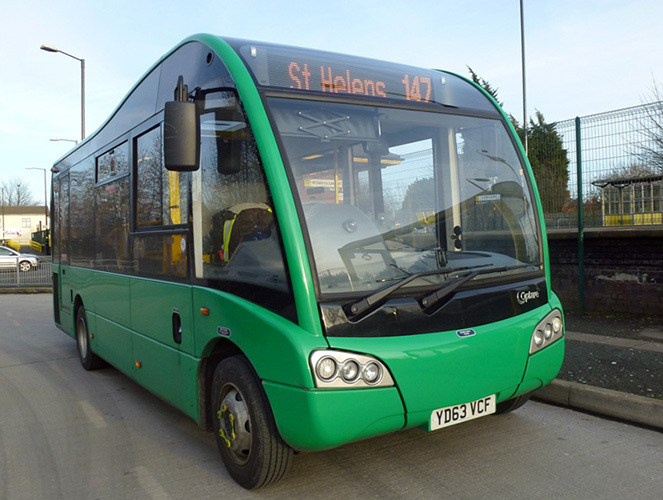 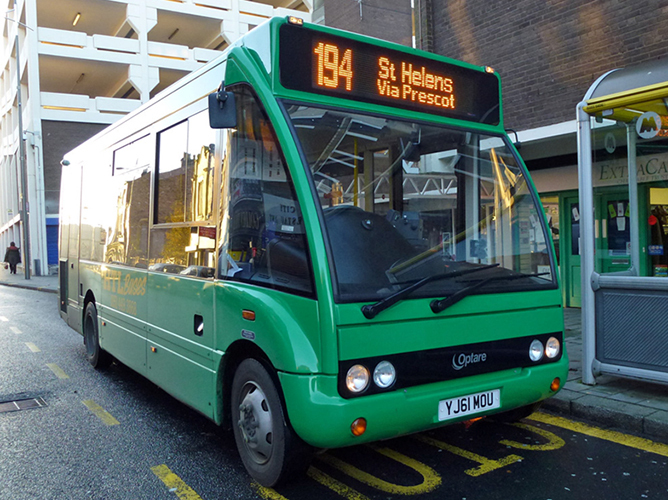 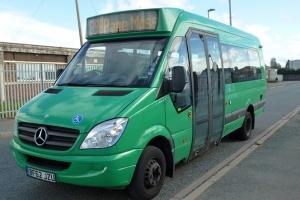 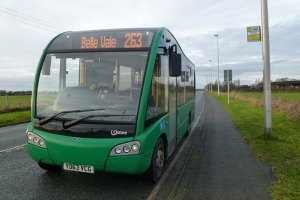 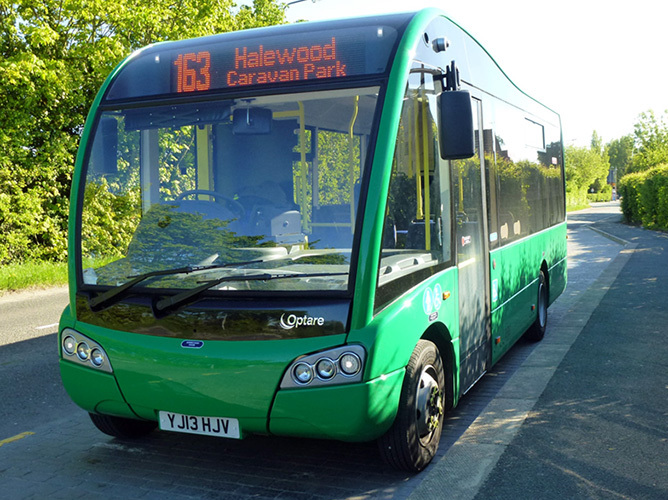 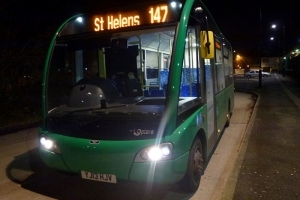 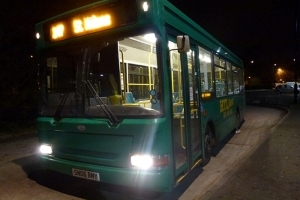 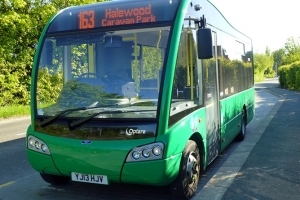 The majority of those in the Huyton Travel fleet are short 7.1 metre long Optare Solo M710SEs that seat 22 and can be used on a wide variety of routes operated by the company. 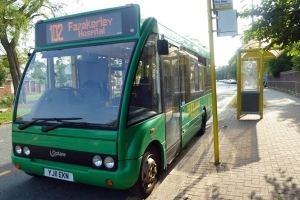 These are an ideal size for routes that require driving around areas with lots of parked cars or tight bends due to their size and width yet are still fully DDA compliant. 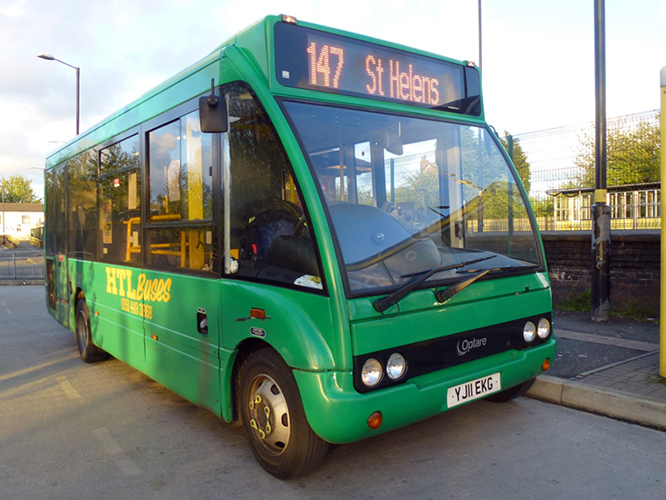 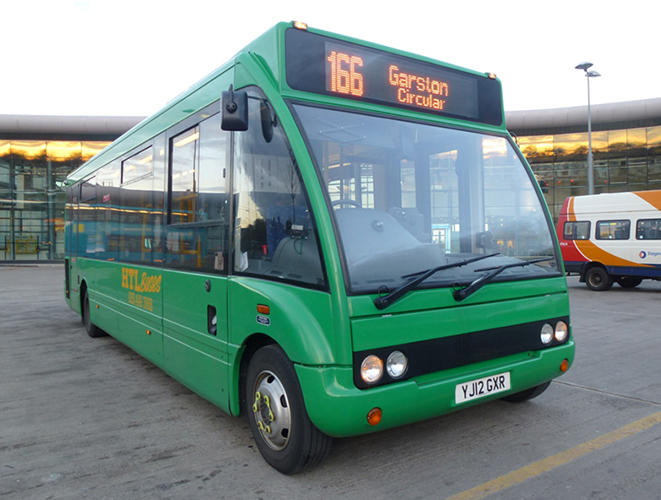 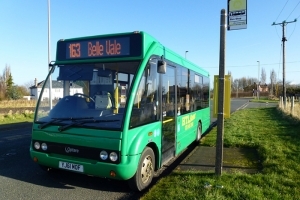 The larger Optare Solos in the fleet provide a similar level of quality and customer comfort for the busier routes operated by the company. 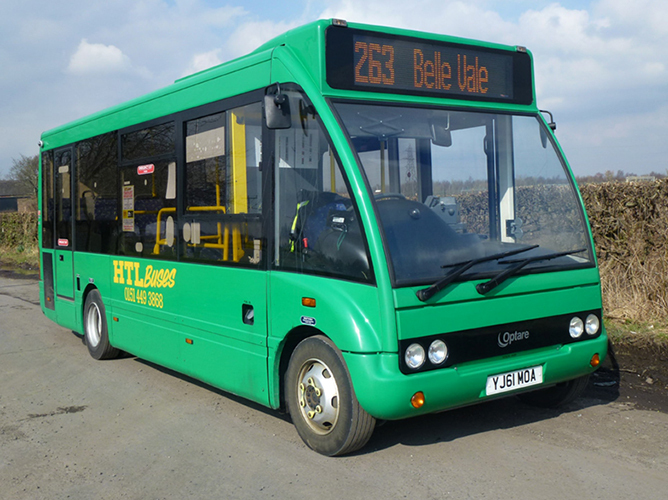 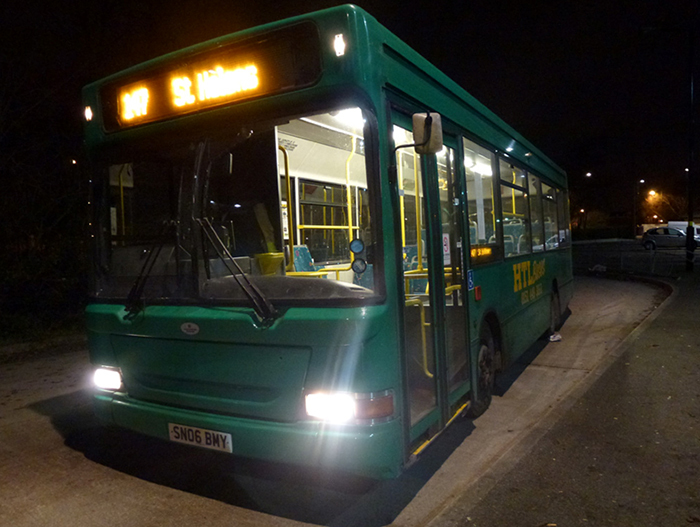 The Optare Solo SR is the updated and more modern version of the standard Optare Solo. 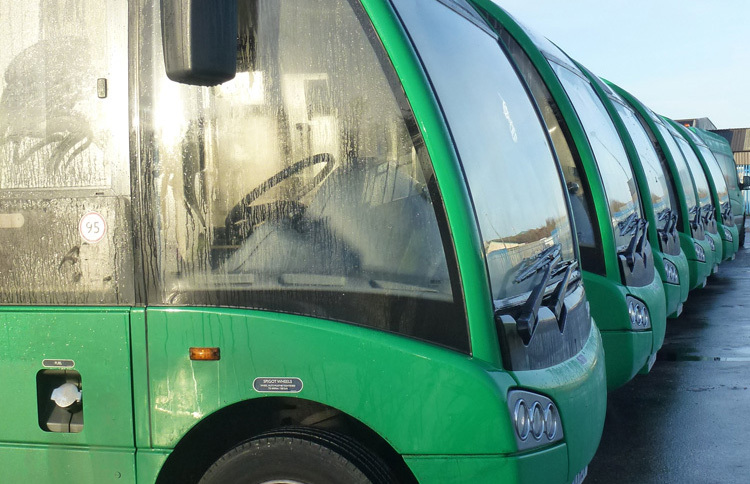 Much like the original Optare Solo, it is available in a range of lengths and with both standard and slim line models available. 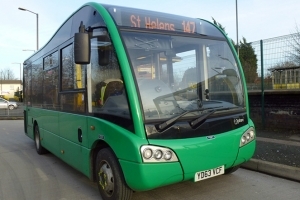 All of the Optare Solo SRs in the Huyton Travel feet are the 7.2 metre long Optare Solo M7200SE-R model, seating 23 fitted with Mercedes OM904 4.25 litre engines and Allison gearboxes. 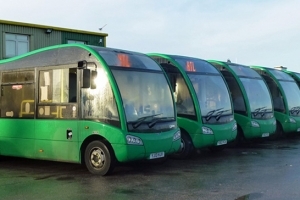 These are ideally sized to serve housing estate areas with a variety of scenarios for the driver to negotiate such as parked cars and are liked by drivers and customers alike. 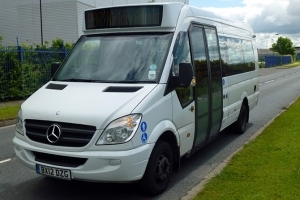 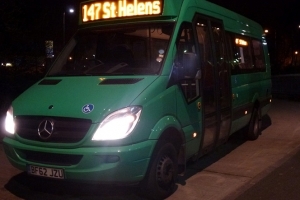 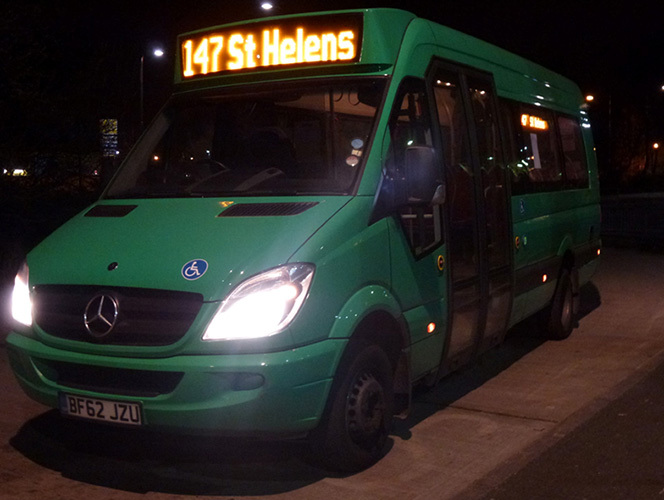 The five Mercedes Sprinters in the Huyton Travel fleet are small efficient buses that are used on a variety routes operated by the company. 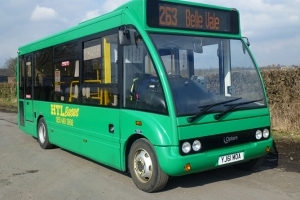 These are low floor, fully DDA compliant buses and have a capacity for 22 passengers. 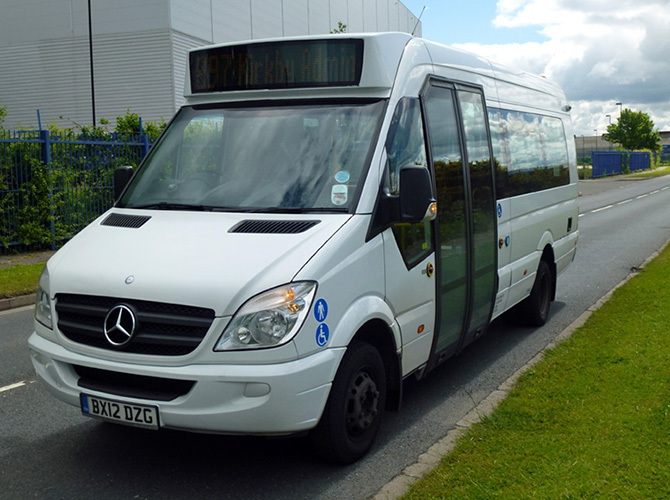 They are popular with both passengers and drivers as they provide a nice smooth comfortable ride.